Bison Archives – named in tribute to the Bison Film Company, an early motion picture studio (formed in 1909) that produced Westerns featuring Native American casts – was collected by this author over a 40-year period of time. About a third of the entire collection came from film studio research libraries where the author worked part-time during the 1980s. While working at these libraries there was turmoil within the film industry. This was the time when the studios were downsizing, modernizing, and were developing into corporate entities owned by other non-motion picture or television companies. Several of the research libraries were lost altogether, such as those of Columbia and Republic studios, while others were put into storage and later sold to George Lucas (Paramount and Universal), Francis Ford Coppola (RKO) and to Dreamworks (Goldwyn). The 20th Century Fox library was twice placed in storage and almost sold. The MGM and Warner libraries are now together in a building in Burbank and will hopefully find a permanent home with the Art Directors Guild. 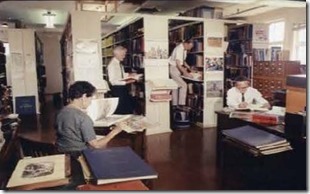 Research libraries began in the early days of the film industry and were used by writers, producers, directors, actors, costume designers, art directors and even the heads of the studios because the libraries contained just about any information on any subject, historical or contemporary, that was needed by all studio departments. While working at these departments, the author was encouraged by his department heads to quietly gather any information on the history of the motion picture and television industries as well as on the City of Los Angeles and all of its surrounding cities. The goal was to accumulate and save many various subjects such as film locations/sites, buildings, houses, estates, railroad and streetcars, theatres, etc. 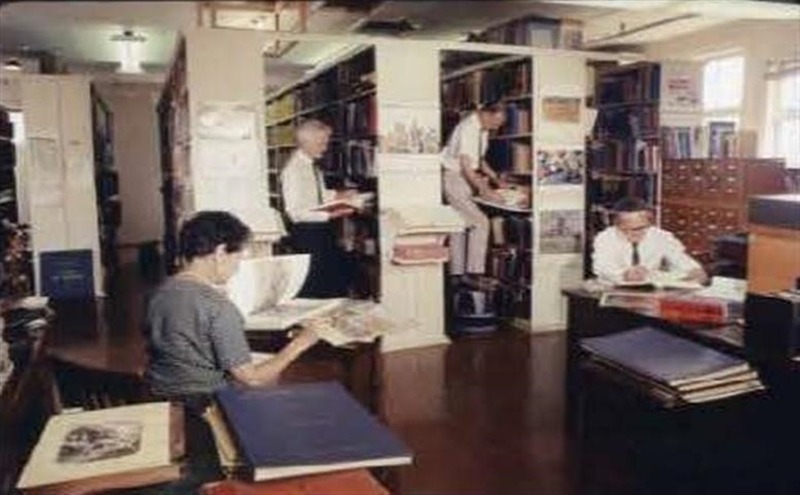 before the libraries were sold, put into storage or destroyed. Many of the location photographs were taken by the Location Department and used by the art department and set dressing department to prepare the location set for use as a background in a film. Thanks to the location departments, many of Los Angeles’s landmarks, many long disappeared, are documented for historians’ use to this day. Location photographs and studio photographs contained in the research libraries helped to make Bison Archives an important source of unpublished photos on the history of Culver City as evidenced in Julie Lugo Cerra and Marc Wanamaker’s latest book, Movie Studios of Culver City. Ed. note: In March, 2012, The Academy of Motion Picture Arts and Sciences announced that it has acquired more than 70,000 photographs from Marc Wanamaker and the Bison Archives. Adding to the more than 10 million photographs in the holdings of the Academy’s Margaret Herrick Library, the collection features rare images from more than 100 major and independent studios, many of which ceased to exist past the 1920s, including Biograph, Edison, E & R Jungle Film Co., Essanay and Vitagraph. “These photographs, so many of which focus on behind-the-scenes studio activities, combined with the existing Herrick photographs, will provide unequalled coverage on all aspects of Hollywood filmmaking,” commented Academy COO Ric Robertson. One of the most important industries that helped the Los Angeles area develop into one of the world’s major cities was the aviation industry. Beginning at the turn of the last century with ballooning in 1903, private airports were created by celebrities in the motion picture industry such as Cecil B. DeMille, Charles and Sydney Chaplin as well as some major land owners. 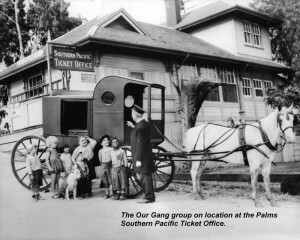 Many areas surrounding Los Angeles created small airports due to the “air meets” in the nine-teens and twenties and for commerce knitting together outlying areas such as Pasadena, Glendale, Riverside, Santa Monica, etc. When Harry Culver was developing Culver City and later when he was the head of the California Real Estate Board, he flew with his pilot from the newly established Culver City Municipal Airport to give the town a sense of place and to attract commerce. Located at what is today Sepulveda, Jefferson and Slauson Blvds., the Culver City Municipal Airport became a home to the first association of women motion picture stunt pilots, the Ninety-Nines. The leading Hollywood Aviators may have appeared to be crazed daredevils, but they were actually brave precision pilots. Aviators performed in nearly 200 motion pictures during the twenties and more so in the 1930s. Their scenes sold tickets to films and aerial scenes were written into many movies in order to draw bigger audiences. Before Harry Culver created the Culver City Municipal Airport, Ince Airfield in Venice was the nearest airfield in the area having been established there in 1919 just after the WWI. Owned by producer/director Thomas Ince, Hollywood aviator B.H. DeLay was the manager/pilot who later acquired the field after Ince’s death in 1925.
in the Motion Picture Industry from the 1920s through the 1940s. In 1929, in cooperation with Harry Culver, the Ninety-Nines women’s stunt pilots association opened their own headquarters at the Culver City Municipal Airport, naming it the Margaret Perry Airport. Internationally-known pilot Amelia Earhart was their first president and Perry the second. Also, at this time the newly formed organization formed the famed First Women’s Air Derby based out of Culver City. With the coming of the 1930s the Culver City Municipal Airport became known as the Baker Airport owned by Baker and Blair. One could get flying lessons there and arrangements were made for the Goodyear Blimp to land in Culver City from time to time. 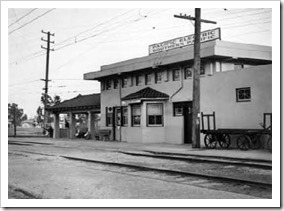 Across the street from the airport was Joe Petrelli’s Airport Café when the airport was still called the Culver City Airport. By the 1950s, the history of Culver City and aviation was overshadowed by the expansion of the Hughes Aircraft plant and its runway. There, the Spruce Goose was built and tested. Most people have forgotten that Culver City had its own airport and that it was an important and historic airfield that contributed to the development of Culver City as a film factory town and the aviation industry as well. 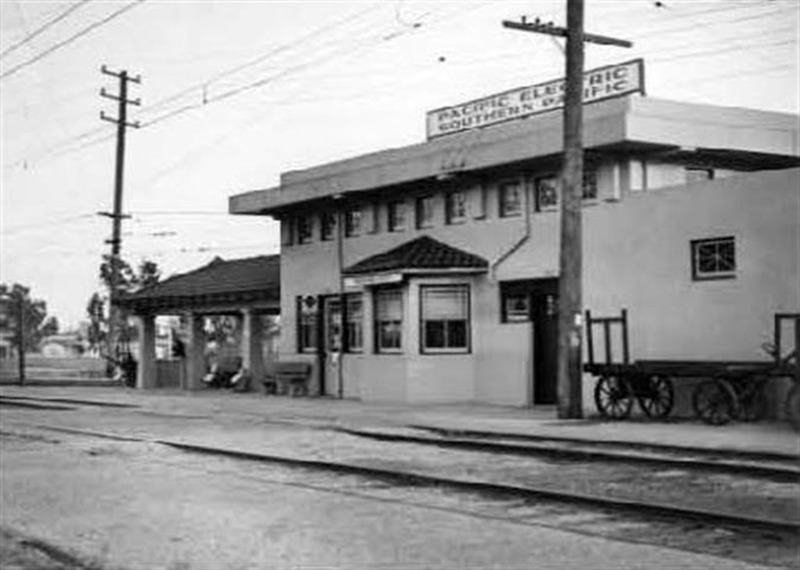 Built from 1920-1921, the brothers, Carl and Irvin Willat, opened their own independent studio in Culver City at what is now Washington Boulevard, Willat and Hoke Streets. Carl ‘Doc’ Willat, a former Technicolor executive and studio owner/builder in Fort Lee, New Jersey, arranged distribution with the Hodkinson Company for his brother’s upcoming four-feature film deal. Irvin Willat, originally began in the film business working with the IMP (Independent Motion Picture Company) of Carl Laemmle, later known as the future president of Universal Pictures. By this time Irvin Willat distinguished himself as an upcoming film director, having real time experience working for Thomas Ince for many years. Carl and Irvin prepared four films for their independent releases: Down Home, Partners of the Tide, Face of the World and Fifty Candles, all to be produced in Culver City at their new studio. Their art director for the film program being prepared, Harry Oliver, was asked to build an administration building that could be doubled as a setting to save money. Oliver studied old English countryside bungalow architecture and came up with the idea of an “English cottage fantasy” architecture. The result was a “story-book” house that became a landmark in Culver City, fronting on Washington Boulevard. There were articles in the newspapers of the time that said the Willat Studio caused traffic accidents! 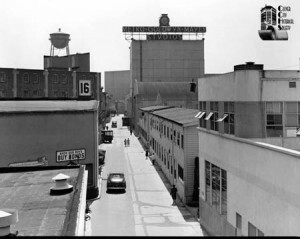 Located across the street from the Thomas Ince Studio at what is now the Culver Studios, the Willat studio lot’s address was originally 6509 Washington Boulevard. The films starred several former Thomas Ince stars, one of them being Barbara Bedford. For the film, Face of the World, more than one hundred extra actors and personnel, many dressed in various costumes, made working at the small lot seem like it was working at a major studio. Administration building to Culver City in 1926 and remodeled it into a house where he lived until he died. His wife remarried and she continued to live there with her new husband, Mr. Spadina, until the Green family purchased the house in the 1960s. Today the house, being relocated to Walden and Carmelita Drives in Beverly Hills, has been restored and will continue to act as a major landmark, harkening back to another age in film history.